Precious metals continued their downward march Wednesday. Gold futures logged a fifth straight session decline and closed at a seven-week low. Gold for December delivery settled down $7.90, or 0.7%, to $1,106.20 an ounce on the Comex division of the New York Mercantile Exchange. The close was the lowest since Sept. 15 when prices ended at $1,102.60 an ounce. 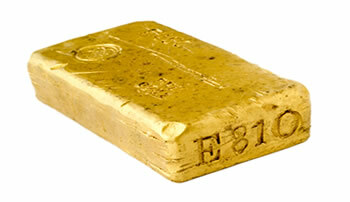 The precious metal traded from a low of $1,105.60 to a high of $1,122.30. Gold prices have turned down 3.1% this week. "The last few weeks of price action in gold has underscored that gold is almost entirely dependent on Fed policy speculation," said analysts in The 7:00’s Report according to MarketWatch. "If the consensus of analysts, economists and traders are dovish, we should be long gold," they said. "If that changes, as it quickly did last week, and turns to favor the hawks, we should be short gold near term — simple as that." Falling for a third session in a row, silver for December delivery lost 18 cents, or 1.2%, to settle at $15.06 an ounce. The close was the lowest since Oct. 1 when silver ended at $14.51 an ounce. Silver prices ranged from $15.05 to $15.33. They are down on the week by 3.3%. January platinum fell $7.40, or 0.8%, to $954.80 an ounce, trading between $953 and $977. Palladium for December delivery dived $20.60, or 3.2%, to $623.40 an ounce, ranging from $621 to $651.65. Gold fell $8.40, or 0.8%, to $1,114.70 an ounce. Silver slipped 12 cents, or 0.8%, to $15.26 an ounce. United States Mint bullion sales were unchanged as of 3:11 p.m. ET. Below is a listing of U.S. Mint bullion products with the number of coins sold during varying periods. Products with an asterisk (*) are no longer available.